What's the Dorian b5 mode? 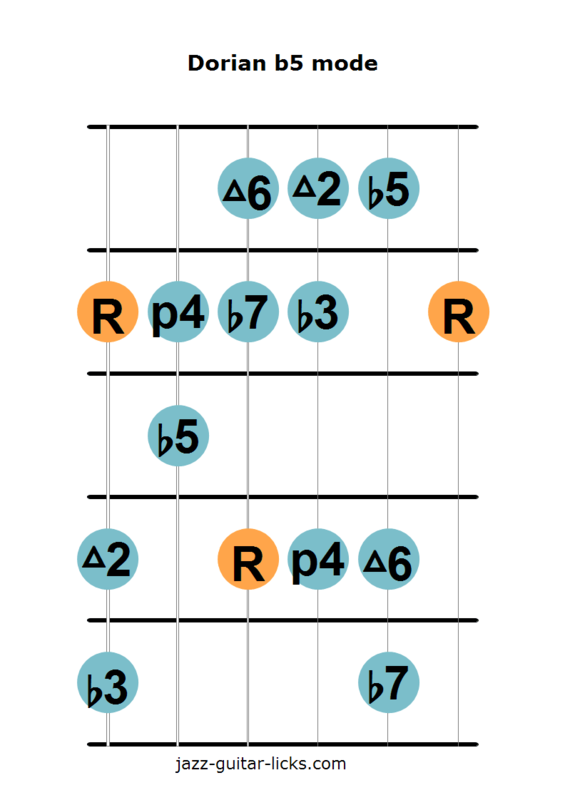 The Dorian b5 scale is the second mode of the harmonic major scale. This is a minor scale built with root (1), second (2), minor third (b3), fourth (4), diminished fifth (b5), sixth (6) and minor seventh (b7). You can see it as the Dorian mode with a b5. It should not be confused with the second mode of the harmonic minor scale named Locrian 13 that contains a b2. The Dorian b5 mode can be used over any half-diminished chord in a minor II-V-I sequence for example. 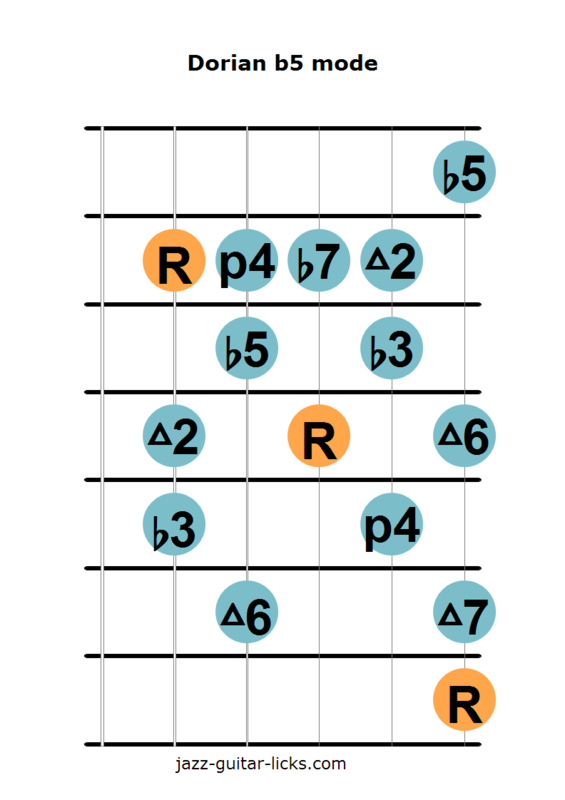 The chart below show you the difference between the Dorian b5 mode and the Dorian mode, which is the second mode of the major scale and the most used when improvising over minor chords. The Locrian 13 mode is the second mode of the harmonic minor scale. It has a b2 instead of a natural 2. When stacking thirds on each degree of the Dorian b5 mode we obtain these chords. Here are two main positions to play the Dorian b5 mode on guitar.